Streamlight’s latest variant of the Stinger LED is the High Lumen (HL) model, and the new Stinger DS LED HL provides maximum illumination with its output of 640 lumens. 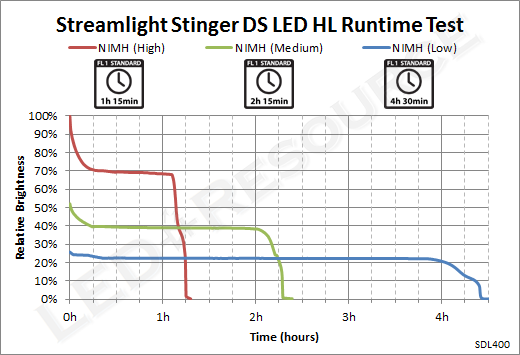 The higher-capacity NiMH battery now comes standard with the HL model in all markets, and reduced output levels of 340 lumens and 170 lumens provide comparable output and runtime as the standard Stinger DS LED. 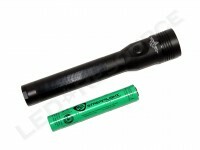 As always, existing Stinger family batteries and chargers can be used with the new HL series. Weight with Batteries: 12.2 oz. 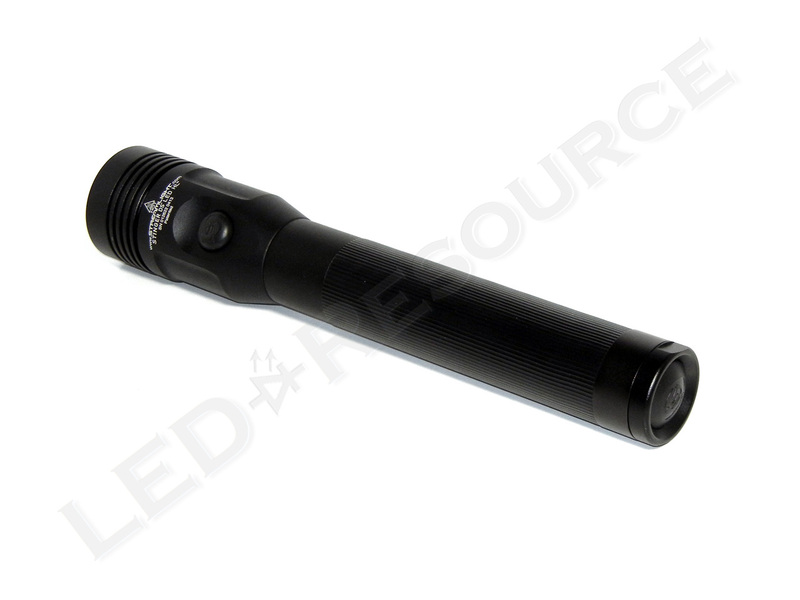 Depending on charger configuration, MSRP for the Stinger DS LED HL is around $240, and the light is only available in black. Most configurations can be found for around $140. 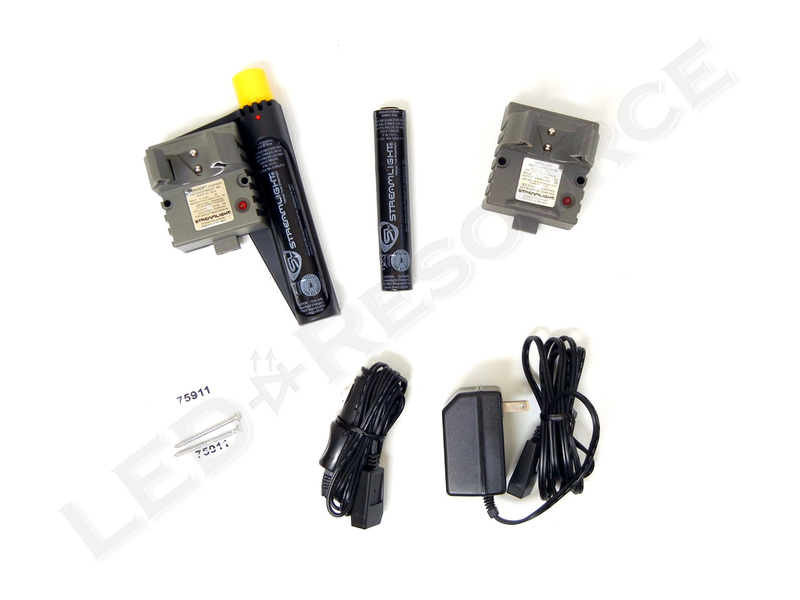 Streamlight offers various packages for their rechargeable lights, with choices for input voltage, charging options (AC and DC, AC only, DC only, or light only), and PiggyBack spare battery charging. 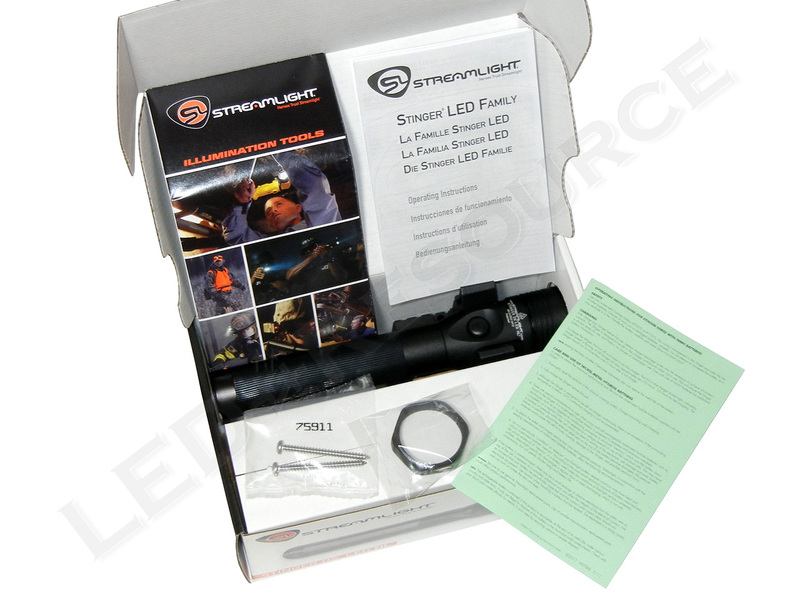 Our package is 120V AC (item #75455), and included in the box are: Streamlight Stinger DS LED HL, NiMH battery, steady charge cradle, 120V AC adapter, anti-roll ring, and user manual. 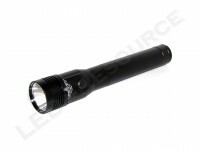 Note: Single holder Fast Charge configurations are no longer offered, and Fast Charge is only available with AC/DC two-holder configurations (item #75457 for 120V AC). Proprietary rechargeable nickel-metal hydride batteries (2,200 mAh) are standard with the Stinger DS LED HL, and the battery pack can be recharged up to 1,000 times. 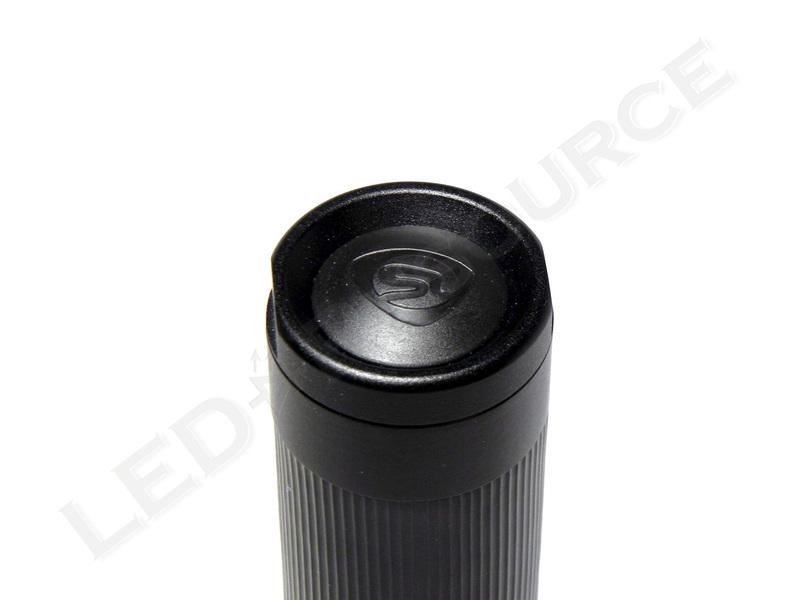 Nickel-cadmium batteries (1,800 mAh) from other Stinger models can also be used in the HL, but with about 20% less runtime. 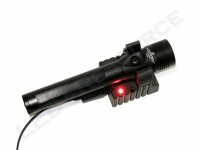 To charge the light, insert the barrel of the light into the charger, and pull down until it locks. 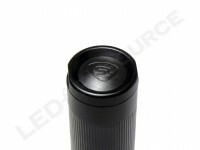 Charging can take up to 3.5 hours with the Fast Charger, or up to 12 hours with the Steady Charger. 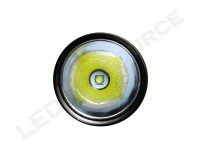 The exterior of the Stinger DS LED HL, which is type-II anodized to protect against scratches and corrosion, remains nearly identical to the original Stinger LED and can be identified by the cooling fins and hot surface warning on the bezel. Behind the polycarbonate plastic window, which has a scratch-resistant silicon dioxide coating with a minimum pencil hardness of 3H, is a partially textured plastic reflector. 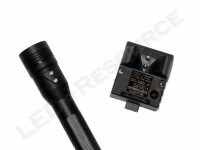 The head switch is a momentary-capable electronic switch. 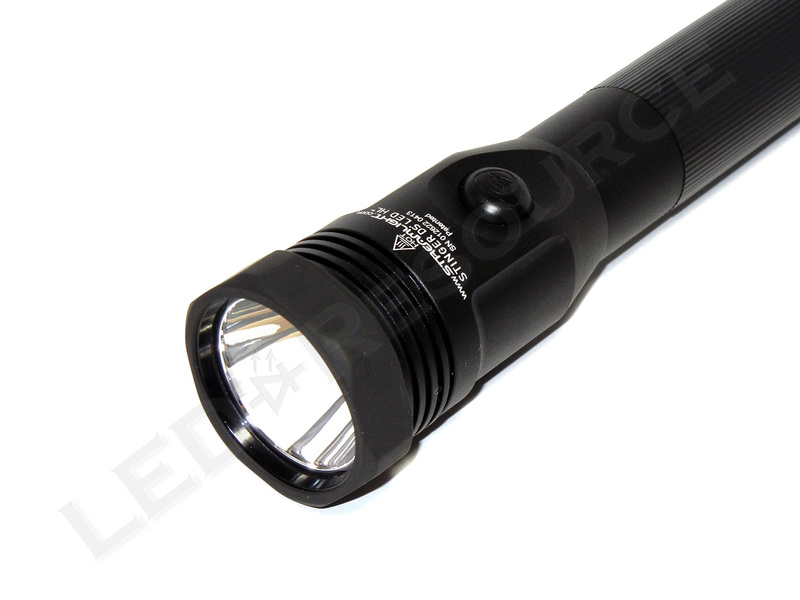 Using a Cree XM-L LED, the Stinger DS LED HL has a maximum output of 640 lumens. 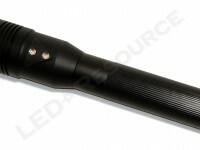 Beam profile is smooth and focused, with a peak beam intensity of 22,000 candela. Compared to the Stinger DS LED that uses a Cree XP-G2 LED, the HL model has a similar beam pattern with larger hotspot and brighter spill for improved peripheral lighting. 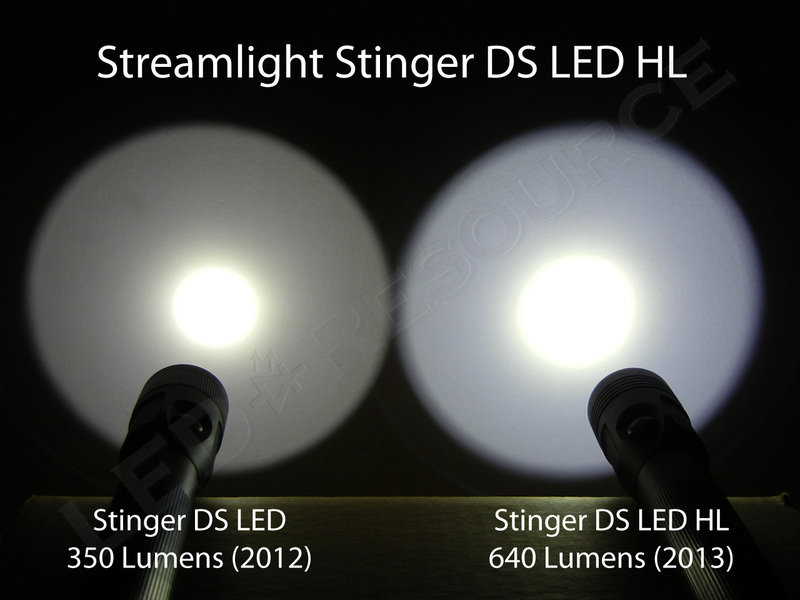 The Stinger DS LED HL reduces output to 70% during the first 15 minutes of runtime, and then remains consistent until the end of the runtime. 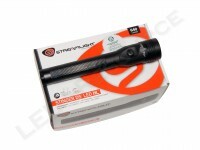 Tested runtime is slightly longer than Streamlight’s published specifications. 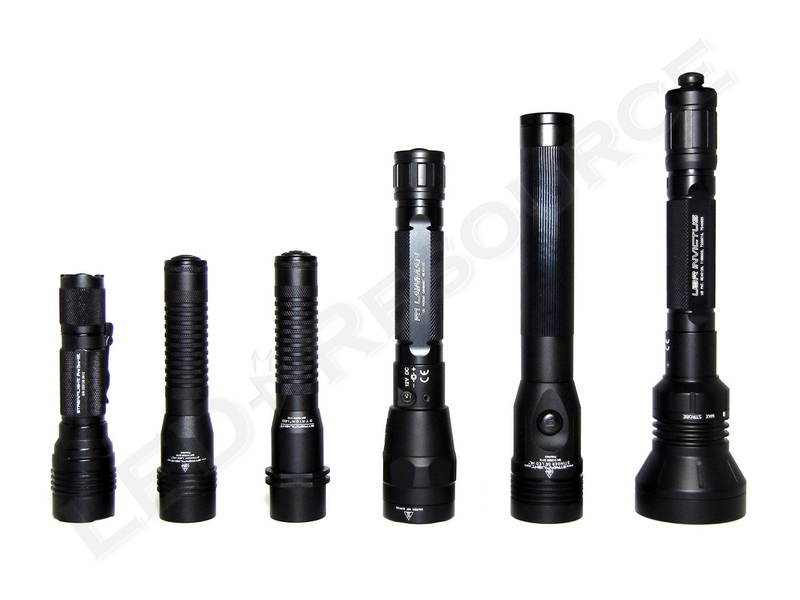 An anti-roll ring is included with the light, and Streamlight offers a variety of charging options and add-ons, such as traffic wands and holsters. 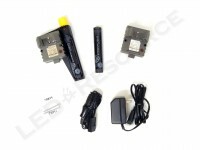 The PiggyBack charger accessory includes a spare battery and charges both the light and a spare battery at the same time. 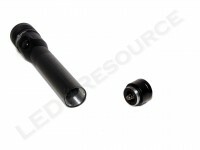 It is available with a choice of standard or fast charging for the primary charger, but only steady charge for the spare battery. 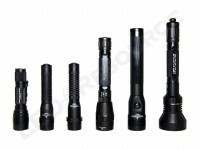 Keeping the Streamlight Stinger competitive among ultra-high output LED flashlights, the new HL model has a respectable output of 640 lumens. Even though it doesn’t have the highest output or the longest runtime, the Stinger DS LED HL is one of the few lights in this category that offers both head and tail switches, as well as the ability to charge spare batteries (using the optional PiggyBack charger). 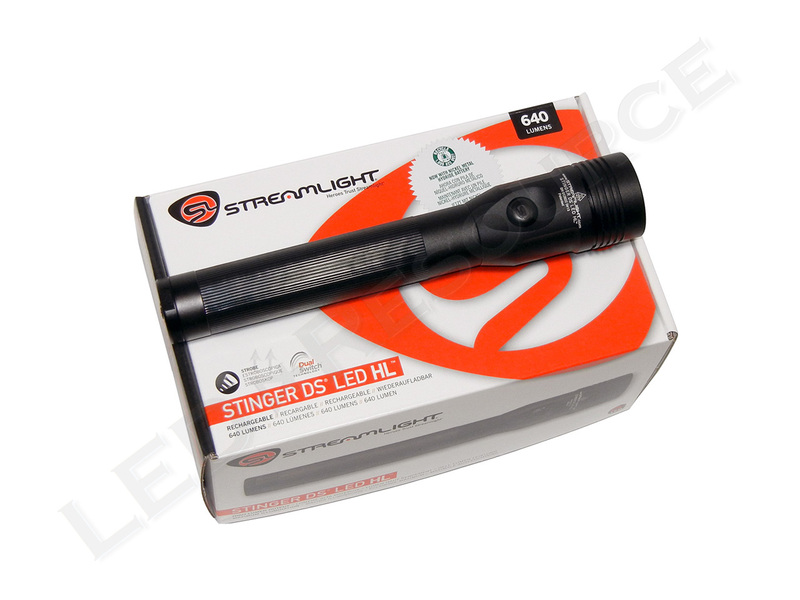 The Stinger DS LED HL builds on the proven platform of the Stinger LED, combining dual-switch technology, ease-of-use, and increased performance into an affordable high-output rechargeable light. Another great review! 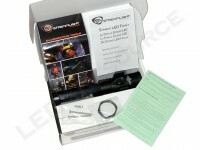 I didn’t realize the stinger series used pwm until i watched a few video reviews on YOUTUBE. The camera picks it up! 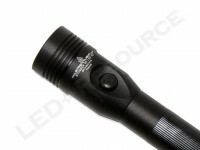 Is the PWM noticeable on medium and low? 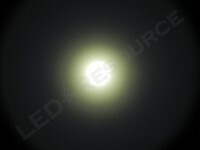 I have lights with 2.0ghz and higher pwm. Not very noticeable. 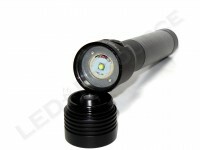 The mini M@& must have under 1ghz pwm. Very noticeable! I don’t notice any PWM, but very few PWM lights bother me. If you’re sensitive to PWM, I would recommend something else.